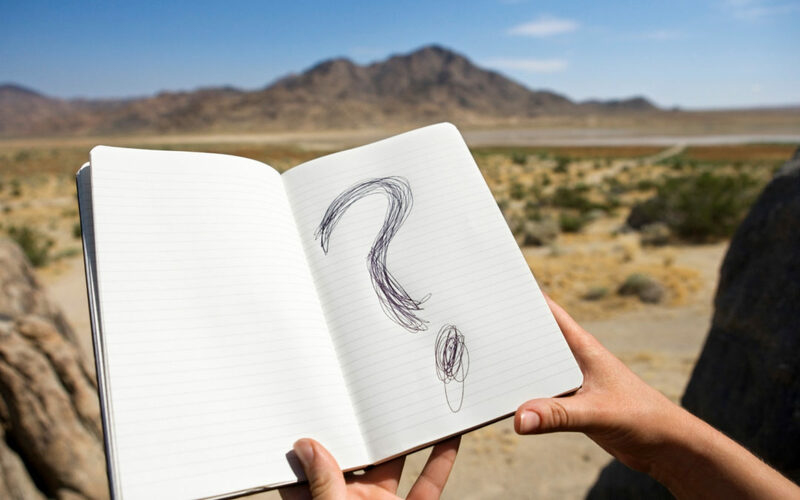 One cornerstone of a good coaching session is what are called “powerful questions” that a coach will ask a client to help them dig deeper into a topic or issue that they want to explore. These questions are one of my favorite parts of the coaching process. It’s amazing what a good question can do to bring clarity to something that feels confusing or even lead to a breakthrough by thinking about an old problem in a new way. I also think I like this part of the coaching process so much because it’s one of the most creative components of coaching for me. In each session, I need to think on my feet and come up with the best question based on what my client is saying in the moment. Last year, in one of my coaching training sessions, we actually played a game where we had to come up with new coaching questions based on certain criteria and it was one of the most memorable activities that we did. What does [word repeatedly used by client] mean to you? Who do you need to be to accomplish your goals? What have you learned in the past that will help you now? What is keeping you from accomplishing your goal? Coming up with new and different questions is such a fun activity for me as I engage with more clients, but I also like to return to these old favorites. They always help my clients to dive deeper into self-knowledge and awareness. Which of these questions is powerful to you? What is an area of your work that feels fun and creative right now?